April showers typically bring May flowers, but not this time. This time they’re bringing rainboots, which totally makes more sense… or at least just as much sense. I just recently finished up my first bullet journal. It didn’t take me long at all, but mostly because I used it for a little bit of everything to get my feet wet. I experimented with designs, fonts, layouts, and which spreads I found most useful to me… habit trackers, monthly spreads, weeklies, and so on. Not to mention the countless pages devoted to Cherish and Liam drawings… my favorite pages!!! 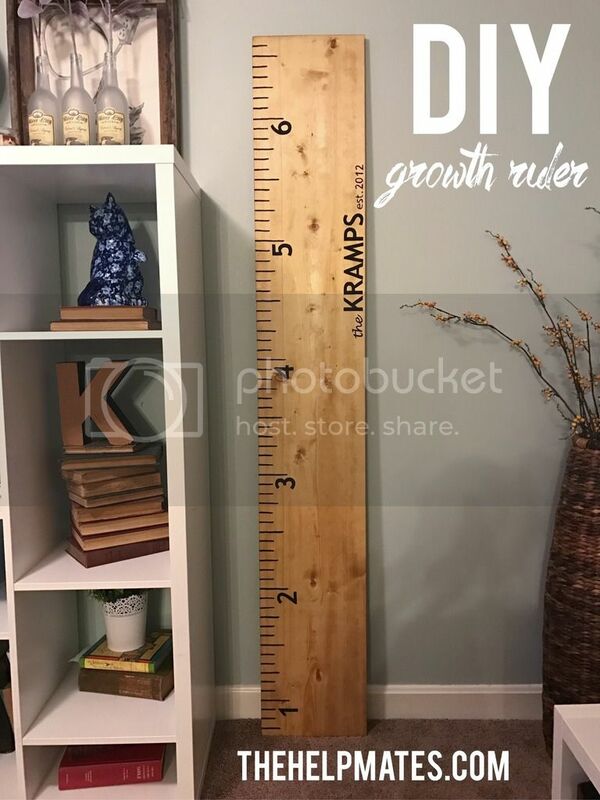 I have been eyeing a family growth ruler for some time now, as a fun way to track our kids’ growth throughout the years. I thought it would be nice to have it on a plank of wood as opposed to a door or wall, so that we could be sure and take it wherever we move to next. I decided to make my own… mostly because I just didn’t love any of the font choices or layouts I found, but saving on the cost was definitely an added bonus too! Most of these I’ve found on Etsy range between $50-70, with costs that stack up quickly for adding extra names and details. I was able to make mine for less than $20, using a larger piece of wood even. I love Instagram. If you follow me (on Instagram, Twitter, or Facebook) you know this. I post lots of pictures of my life (mostly Nike), and that’s really fun for me. But the best thing about Instagram is that it’s a little window into someone else’s world – sometimes even on the other side of the world. I love seeing the diverse ways that Instagram inspires people to create. 1. @munichandthemountains: Swiss alps, enough said. You might remember my limited success (i.e. compete failure) with gardening last year. That was partly due to my own laziness and partly to a severe lack of planning. It was essentially an afterthought one weekend in May. Hello, dear readers! Sorry I’ve been pretty MIA this month, but this spring has been a doozie. I’ve travelled a lot (you might have heard that my sweet Grandmother Dorothy passed away a few weeks ago), and I’ve been working hard on that list of goals for 2015. 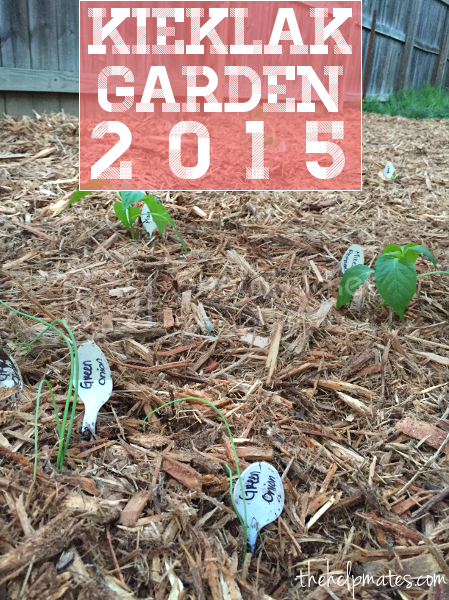 I finally have my garden up and running, so you can expect a post on that soon, as well as some reviews of my favorite books I’ve read so far this year. But for now – a kitchen makeover! When we found out we were having twins, Lisa offered to make baby quilts for our two littles. Since I’ve wanted to learn how to sew and quilt for a while now, I figured this would be a good time for me to kick start the training process. I don’t think I’ll be doing much of the actual sewing part just yet, but more of the cutting, planning, watching, and learning along the way. 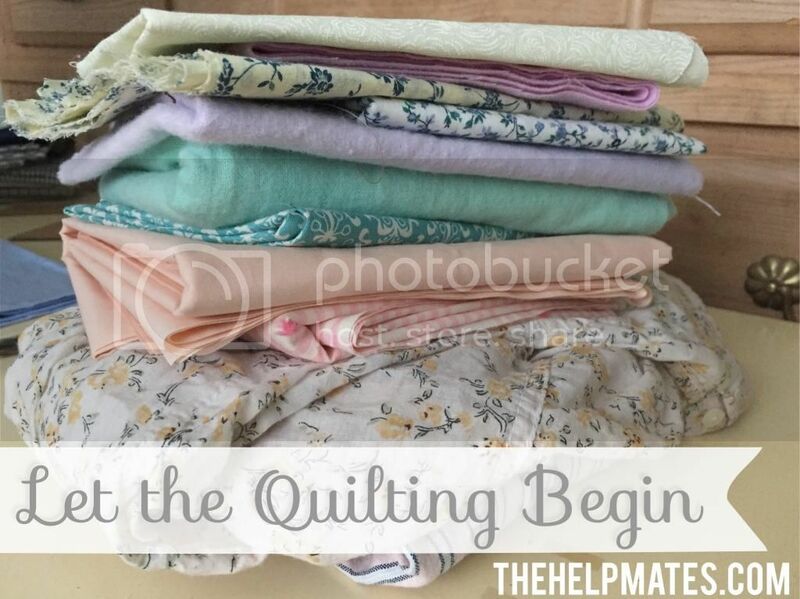 Baby steps for baby quilts! Several years ago I had this terrible sunburn and a friend recommended I use pure sweet almond oil to help it heal. I was really nervous about putting pure oil on my face because during my teenage years I was trained to always choose oil free products, lest they cause a breakout. I tried it in spite of my fears and I loved the results so much that I’ve never looked back. 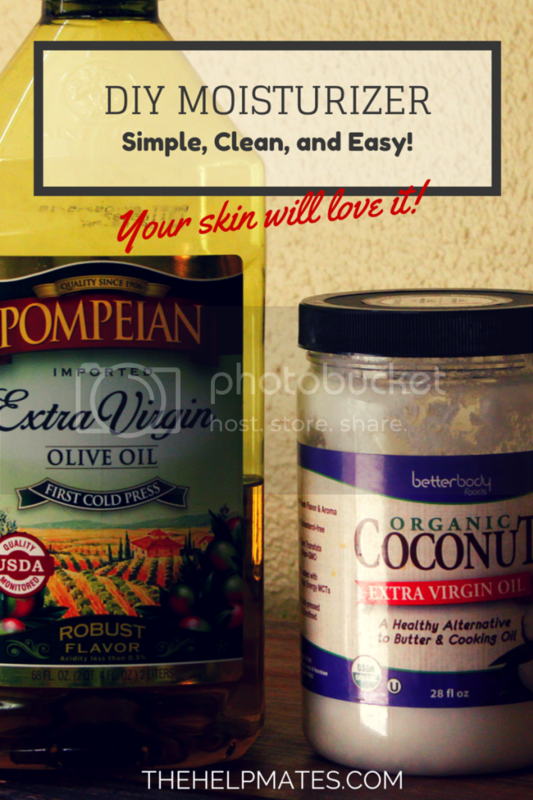 Today’s post will be a primer in using simple oils to moisturize your skin, many of which are widely and easily available. 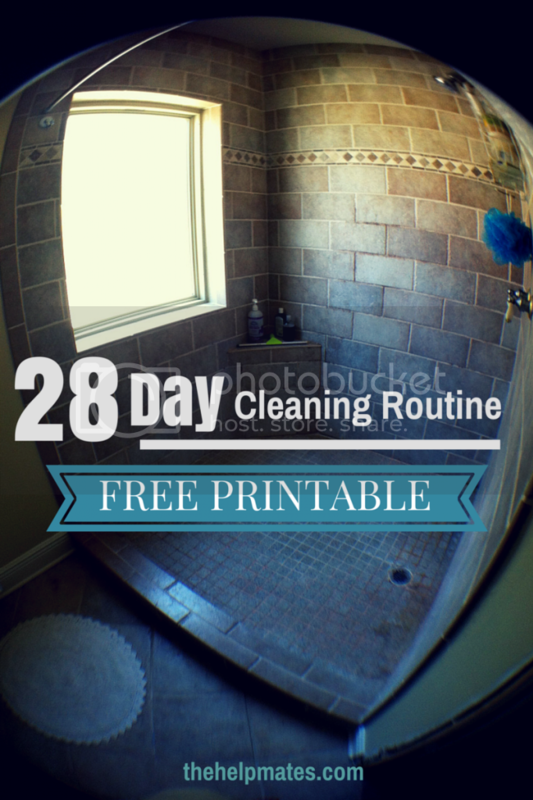 Keeping Your Castle Clean(ish) FREE PRINTABLE!! We’ve already talked about how I’d prefer that the house be clean but that I’m learning sometimes I have other priorities that need to be dealt with first. However, having a clean house is something I’m working towards, because my whole family will benefit from it if I can just carve out enough time to get it done. In the interest of trying to get as much done as I can without losing my mind, I’ve developed a “system” that I’ve been using and I’m going to share it with all of you. Living in the Texas gulf area means we have about nine months of summer each year. And I’m a person who likes to work out – swim team practice three times a week, plus some running, biking, and the occasional extra workout, so I lose a lot of sweat. I have found that if I hydrate with an electrolyte drink before, during, and after a workout, I feel more energetic during a workout, I don’t get pesky leg cramps, I bounce back faster after a workout, and I even sleep better at night. My personal favorite drink mix is NUUN tablets. They are so delicious and easy to use, but at $.36 – $.45 per tab, it was costing $15 or more a month for me to drink. I wondered if I could create my own version for less money. 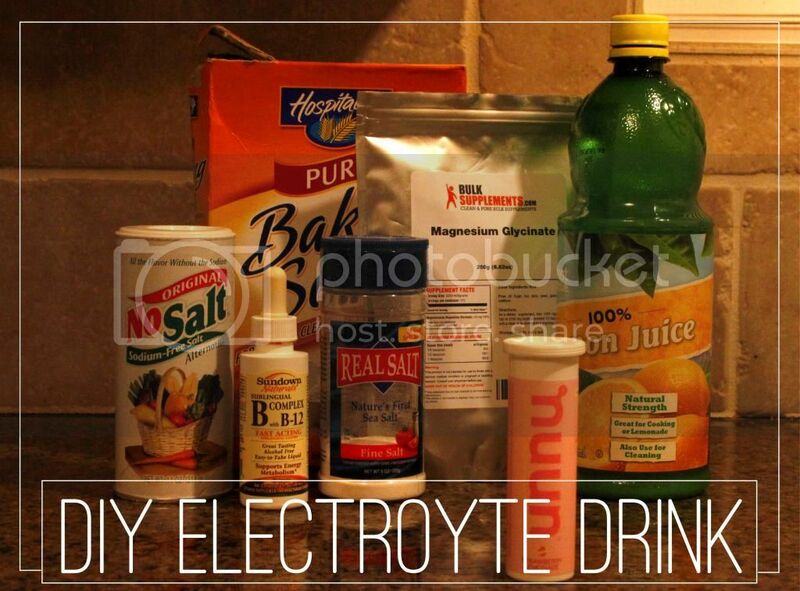 Using the NUUN nutritional information as a guide, I developed my own DIY drink.